A wealthy donor on trial for bribery with U.S. Sen. Bob Menendez spent more than $8,000 to fly Menendez back to Washington from Florida on a private jet with only the senator as its passenger, a witness testified Wednesday. Prosecutors are seeking to show the donor, Florida ophthalmologist Salomon Melgen, bribed Menendez with numerous free flights to and from Florida and the Dominican Republic on his private jet over several years so the New Jersey Democrat would lobby on behalf of Melgen's business interests. The flight in October 2010 was taken at a time when Melgen's plane was unavailable, Jeffrey Wardenaar testified. Wardenaar's company arranged charter jet flights at the time. According to Wardenaar, the flight cost $2,600 per hour, which included "deadhead" flights — repositioning flights with no passengers — from Sarasota, Florida, to West Palm Beach, Florida, to pick up Menendez and from Washington to Islip, New York after dropping him off. Menendez and the Palm Beach County doctor have contended in court filings that the flights and other gifts, which also included a $1,500-per-night hotel room in Paris in 2010, were between friends and weren't part of a bribery arrangement. 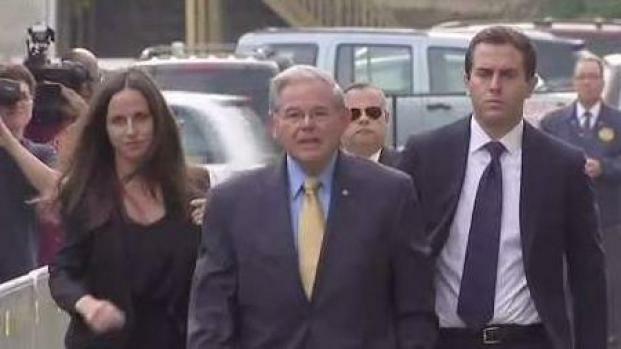 Their attorneys also told jurors in opening statements that Menendez took numerous trips to visit Melgen that he paid for himself. The trial is in its second week. Jurors heard Tuesday from two women whom prosecutors claim were helped by Menendez to obtain U.S. visas as part of the alleged bribery scheme. 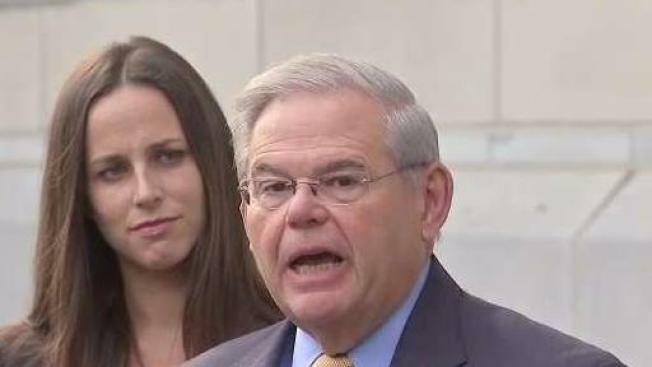 Defense attorneys claim it was customary for Menendez to help with visa applications and that the women received the visas on merit. The indictment also alleges that Menendez lobbied government officials on behalf of Melgen in a Medicare billing dispute and a contract dispute involving a company Melgen owned that sought to provide port security equipment in the Dominican Republic. Menendez contends his actions fell under the normal duties of a senator, and that he was probing larger issues of port security and Medicare billing inconsistencies, and not on behalf of Melgen specifically. Menendez and Melgen face multiple fraud and bribery counts. The most serious carries a 20-year maximum prison sentence.